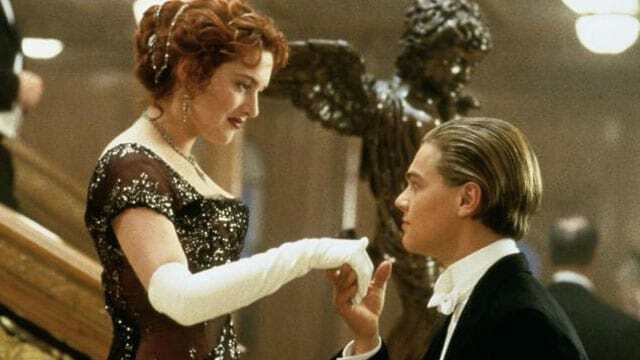 Stepping away from the usual Game of Thrones or Stranger Things fan theories, there’s currently one doing the rounds for Titanic – and it could change the whole meaning of the film. The 1997 Oscar winning epic had the world hooked pretty much immediately – and we’ve all seen it. Much like death and taxes, sitting through James Cameron’s three hour love story is just one of life’s inevitabilities. But whether you loved it or hated it, you may want to give it another watch because this fan theory could change the whole meaning. While this theory has been doing the rounds in different variations for a while, it’s recently resurfaced on Facebook with some serious traction. According to a few Titanic mavericks, Jack was just a figment of Rose’s imagination while she was on the ship. Let’s examine the evidence – ‘Poor little rich girl’ Rose Dewitt Bukateer was pretty unhappy. So much so that theorists believes she suffered from a psychotic episode on board, imagining Jack as a distraction from her problems. When Rose and Jack first meet, he talks her out of throwing herself off the boat – and it’s at this point where the theory suggests she’s imagining his presence as her saviour. Basically, Jack is the embodiment of her inner-strength at a time in her life when she needs it most. But there are a few holes in this theory. Technically, there was no record of Jack ever being on the ship because he didn’t originally buy the ticket, he won it in a poker game. Also, did she draw herself naked? Did Molly Brown’s tuxedo wear itself to dinner? Was Rose’s imaginary friend acknowledged by everyone at the table? Did Cal’s henchman also have a breakdown when he reported seeing Jack and Rose together? Did the overcoat report itself stolen?